The maximum stakes permitted on fixed-odds betting terminals in the UK is to be cut from £100 to £2, following years of campaigning for the change in the face of gambling industry lobbying. Those who campaigned hardest for greater protection for users of the machines such as the Campaign For Fairer Gambling will be pleased by the UK government’s decision, but the loudest cheers will come from people like Tony Franklin who have suffered terribly because of decisions taken by British governments – of all stripes and over many years – that allowed high-stakes electronic gambling to enter the previously low-stakes world of high street betting shops. I’ve been among those arguing for the maximum stakes to be reduced, in many government consultations on the issue, and I’m glad that common sense has prevailed at last. But the decision to cut maximum stakes leaves other problems still to be tackled – and these go to the heart of gambling policy. The government’s announcement shows they have yet to come to grips with a powerful industry which lobbies hard for self-regulation. Fixed-odds betting terminals (FOBTs) were introduced around 2000, and it soon became apparent that they were used differently from the fruit machines that they replaced. A tax change in 2001 had enabled bookies to create digitised, virtual games of roulette and allow punters to bet on the outcome of each spin, as they would on the outcome of a horserace. The vital difference is that while a horserace takes place a few times each hour at a track – or every few minutes, if you beam action from around the world into the betting shop – each spin of a digital roulette real on an FOBTs takes 20 seconds, quicker even than the real thing. Not every bookmaker expected FOBTs to be popular – some were taken by surprise when their profits outstripped over-the-counter betting. This was less “Addiction by Design” and more a flotation device for betting shops, which had been struggling to find new customers as the older generation of punters betting on horses and dogs were not replaced. Some bookies did not expect the machines to survive as long as they have in their current, high-stakes, high-frequency form. One said to me recently that the only real surprise is that it took the government so long to act. As I’ve written elsewhere, much of the evidence on which policy decisions in the UK are nominally based is acknowledged to be limited – compromised by the involvement of industry that not only funds research but also can control access to data. If we want policy makers to make timely, well-informed decisions about gambling we need better data, and more of it. That can only come from a strong research culture, supported by a data sharing agreement and an independent commissioner. Who might take on this key role? The Gambling Commission, which did not recommend a reduction to £2, has both a duty to permit gambling and also a duty to consider the impact of its activities on economic growth. It is telling that gambling policy in the UK is determined by the Department for Digital, Culture, Media and Sport. In New Zealand, by contrast, gambling policy is a matter for the Department of Health. While the cap on stakes has been broadly welcomed, the government’s announcement of “a major multi-million pound advertising campaign promoting responsible gambling”, supported by industry and GambleAware, has raised eyebrows. What made the government decide that this was the best way to educate people about the harm caused by gambling? Or even a good idea? Unsurprisingly, the international evidence does not support the idea that industries producing harmful products are best placed to communicate their risks. On the contrary, we know that these campaigns are often tactics for delaying the imposition of meaningful regulation. The government also announced that the Industry Group for Responsible Gambling has amended its code to ensure that a responsible gambling message will appear for the duration of all TV adverts. In Australia, gambling advertising during broadcasts of live sports has been banned before the watershed precisely due to concerns that children will associate betting with sport. Yet in the UK, the government has chosen to accept industry promises to add warnings to adverts, even though evidence from alcohol advertising suggests that responsible drinking messages may in certain contexts actually increase alcohol consumption. All this points to UK gambling policy continuing along a path of compromise. As other nations move to a public health approach that recognises that the harm caused by gambling is not restricted to the gambler alone, or to their mental health, the British government remains rooted to the model of “promoting responsible gambling” – part of what DCMS minister Tracey Crouch has called “a healthy gambling industry that contributes to the economy”. Until we have more independent research about the effects of gambling, any attempt to change the rules in order to protect people from harm will take years. We need a compulsory levy and no more horse-trading with industry. GambleAware, the charity responsible for funding research into gambling, must be reformed – and at the very least not have industry representatives on its board. The delay to the cap in betting stakes – arriving five years late due to the lack of evidence that FOBTs “cause” problem gambling (itself a gigantic red herring) – has cost people not just their money, but their homes, their relationships, their jobs and even their lives. If it is evidence-based policy that governments claim to aim for, then they must ask where that research will come from in future – and if it is worth the paper it is written on. Rebecca Cassidy was funded by the European Research Council, grant number 263433, between 2010 and 2015. Between 2006 and 2009 she received £90,697.22 from ‘Research into Problem Gambling’, a collaborative research initiative between the Economic and Social Research Council (ESRC) (lead organisation) and the Responsibility in Gambling Trust (RiGT), (now GambleAware). All aspects of the grant were administered by the ESRC. 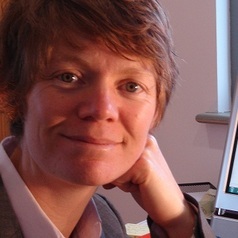 Between 2007 and 2009 she received ad hoc support from the National Lottery Commission for the Gambling Research Network, a group of early career and PhD researchers coming together in London two or three times a year. Money covered refreshments and no explicit restrictions or inducements were placed on the group by the NLC. Since 2015, she has had her travel expenses to speak at an international conference paid for by the Alberta Gambling Research Institute, an organisation that is funded by the provincial government of Alberta, and by the New Zealand Problem Gambling Foundation and The Gambling and Addictions Research Centre at AUT University. She has also received support from the British Academy and Edinburgh University. She has paid to attend industry-sponsored events and attended free, industry-supported events in order to conduct anthropological fieldwork.